Facebook – A dating site?? Although officially Facebook is not an online dating site, many considers it to be a way of finding their soul mate. Facebook includes many dating sites. Here is the list of Top 7 most popular dating applications. 1. Would You Sleep With Me This is a popular application on Facebook. People who wants flirt with others can send a message to him or her. You can also add them as your friend on facebook. Only Facebook members can access this application. Sending message to others are free but you have to pay for sending gifts. You can search new people and flirt with them anonymously or publicly. 2. Compare Hotness This application displays two women or men at a time, you can flirt with the one which looks more appealing to you. Only facebook members can access this application. You can only send free messages. It doesnt allow you to send friend request to others. You can’t even send gifts to others. 3. Online People Facebook members can search other online facebook members and can send messages or friend requests to them, but you can’t flirt with them. You can also search people around you. Certain amount is to be paid in case you send some gift to others. Before you can add one as a friend, or send a message to the one you like, you need to receive a gift from that guy or girl after you send a gift to her or him. 4. Zoosk It is the largest online dating site. Millions of people around the world has join this site. Zoosk members can search people around them. You can send friend request to others only after you download the Zoosk messenger. You can send free messages to others. You can even flirt with them. 4. Dating Free Datepad To use this application you have to be member of Datepad. You can flirt with those whom you like, but you can’t send friend request to them. You can send them messages, or even send them gifts by paying certain amount. You can search people near to you. 5. Are YOU Interested? Its name tell us about how it works. You can search and flirt with the single members of your country by saying you are interested in them. Free account members can’t send messages, gifts and friend requests to others whom you like. 6. HOT or NOT This allows you to flirt with those whom you like by telling them you want to date them. You can also rate members how hot they are. You can search, message and flirt with those whom you like most. But you can’t send gifts or friend requests to whom you are interested in. 7. Speed Date This applications allows you to send message, email, flirt or chat with those whom you are interested in. 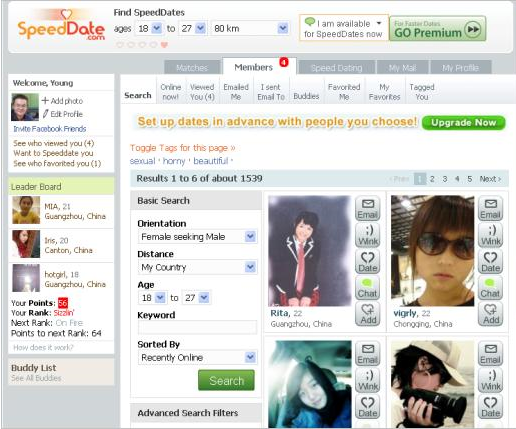 Members of SpeedDate can search other people. Sending gifts and friend requests are not available in this application. You have to pay for Video/radio chat. 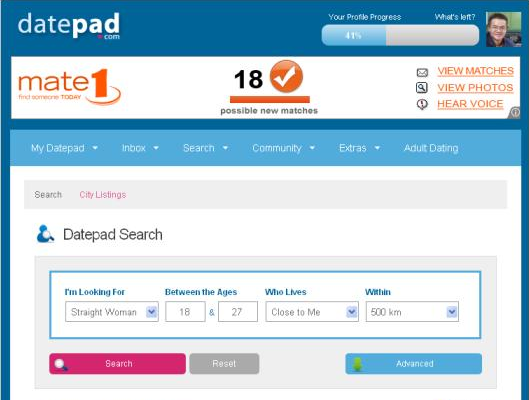 Also, check out the Romance Tale dating site review that we recommend a lot. Other then these above 7 applications, there are many Facebook dating applications.. if you use them .. let us know.